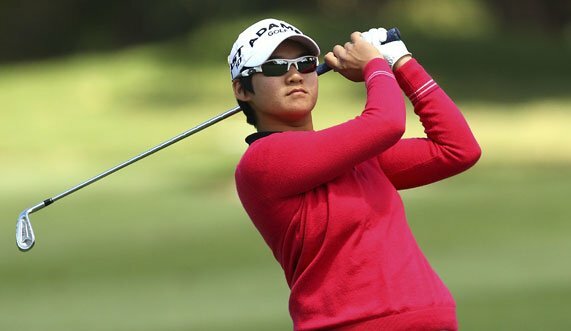 Is Yani Tseng becoming the world’s best ever female golfer? Most of us know the modern names Karrie Webb, Annika Sorenstam and even Lorena Ochoa, but we should also know Yani Tseng too. She is dominating women’s golf. On the weekend, Yani Tseng won her fourth major championship in incredible fashion. She blitzed the field and won the LPGA Championship by 10 shots and became the youngest woman to ever win four majors. At only 22 years old, the Taiwanese-born Tseng is without doubt the world’s best female golfer right now. She is streets ahead of her nearest rival Christie Kerr in the Official Rolex Rankings and has been the #1 golfer for 19 consecutive weeks. Tseng assumed the number one position earlier this year when she won the Women’s Australian Open and then the ANZ Ladies Masters in consecutive weeks. Tseng has now won the LPGA Championship twice and last year’s Kraft Nabisco and Women’s British Open. She is now 15th on the list most majors won by female golfers which is headed by American Patty Berg who won 15 majors from 1937 – 1958. At the rate Tseng is going, she may have 15 majors under her belt before she’s 30.